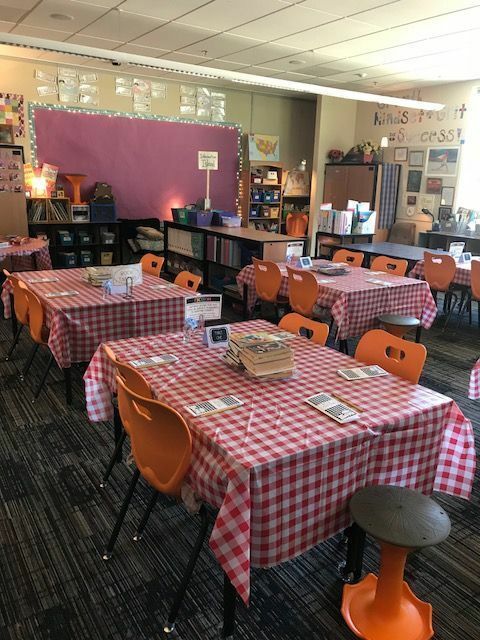 Twice a year, Kari Hall’s third grade classroom at Union Ridge Elementary School transforms into a café. 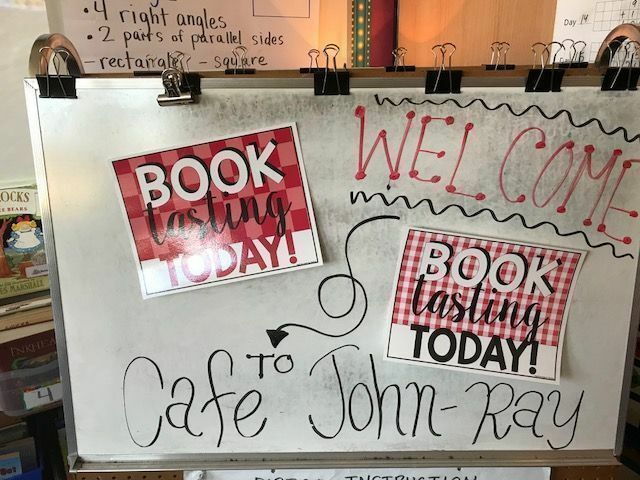 There are red and white checkered tablecloths over the desks, background music, and Hall is the chef for an unusual menu: books. “There’s a difference between tasting and eating,” Hall said. “So you’re just getting a taste. And the tasting consists of first, look at all the books. Talk with each other about what you’re seeing, what looks good to you. Then settle in on a book to taste. 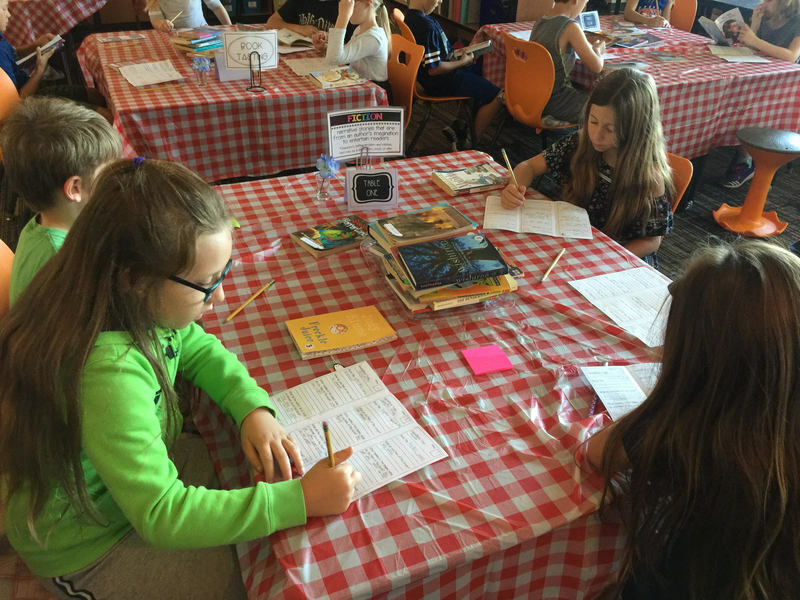 Read about three pages of the book and take notes about your reaction.” Students rotate from table to table to “taste” different types of books.